It’s a boom for Blackberry users; finally the Blackberry has launched its most awaited smart phone, the first in series of BB10 OS, the Z10. Are you one of those people who are searching for a Black Berry smart phone Z10? If you want to buy a new cell phone like Black Berry Z10 then you can read this article because it will provide you general information about this latest mobile device. Black Berry is providing best cell phones to its customers over years. This company is launching new cell phones with latest technology every year. Nowadays, Black Berry Z10 is very famous across the world due to its nice look and latest features. This cell phone consists of every latest feature which must be present in a good cell phone. 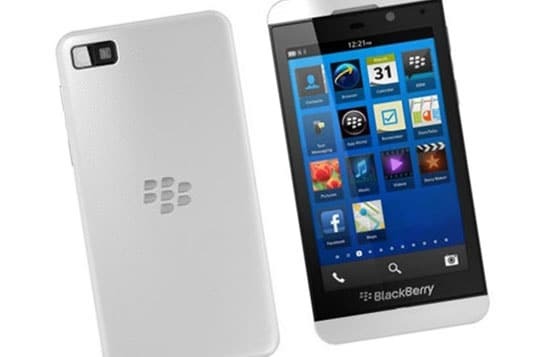 Black Berry Z10 is a smart phone which is released in the first month of 2013. 4.3″ capacitive touch screen is the deciding factor for new customers who are looking for high quality visual display. Blackberry has enhanced its touch screen compare to previous models of BB6 and BB7 series. The touchpad QWERTY keypad is quite responsive, support prediction text too. This smart phone can support WI-FI networks with high speed and accuracy. Mobile phone industry is providing every new feature to users by manufacturing new cell phones and Black Berry Z10 smart phone is the result of their efforts. The exterior of the phone is mainly manufactured from plastic but it feels classy and very much different from the cheap devices that are made up from the same material in the market. Powered by Lithium-ion 1800 mAh battery, the Z10 is expected to have a standby time up to 312 hours and talk time up to 10 hours. The screen is able to project resolution of 355 pixels which is fairly impressive for Blackberry phones. The phone also comes with 16GB internal storage and 2GB RAM expandable storage up to 64GB. The primary camera offers picture taking of 8 Mega Pixel with auto focus, image stabilizer, face detection and Geo-tagging. The secondary camera which is the front camera, offers a 2 mega pixel photo quality. The Processing unit used are Dual-core 1.5GHz Krait. Another good job done by Blackberry is including micro USB v2.0 into the phone which offers easy transfer of files and much more. The Z10 also comes with NFC and Bluetooth which is not something special but necessary. This phone also runs on Micro-SIM which is quite common nowadays. There are many other benefits of 1.5 GHz dual core processor that also include multitasking which is the most required thing nowadays. Z10 also features the Social Media users. The traditional customers of Blackberry belong to business class and Blackberry has done best to make them stay with Blackberry Z10. The Z10 is a new generation smart phone as it is attracting buyers from all the classes including Multimedia, Social Network and Business Class, all of them would prefer it as it serves the best of the traditional Blackberry system with upgraded new features and new UI. The new Blackberry Z10, priced at € 579.99, without a subscription will be available in early March but you can already reserve it in mega phone houses and local vendors. The principal function of a Blackberry Z10 smart phone receiving and sending e-mails as a push service. In addition, the usual Blackberry smart phone features, such as address book, calendar, tasks, lists, etc. are available with Blackberry Z10. Additional mobile features of Blackberry Z10 are voice mailing service, SMS, MMS and web browsing. 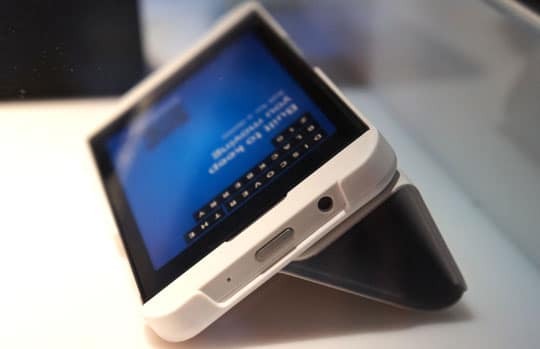 Unlike a traditional PDA, the user must (in Blackberry Enterprise Server – BES short-devices) do not take care of the synchronization of the data. Blackberry Z10 is a Blackberry BES enabled device which sends emails or transfers data such like entries, contacts, etc. via push service from the Blackberry Enterprise Server to the handset. That is, the handset is always kept up to date, as long as there is a connection. At the same time it allows for immediate notification and notification when new e-mails, and appointments, known as soon as through SMS. Another important function is derived from the Mobile Data System (MDS), which allows other data from the company’s network – to make accessible on the Blackberry – from ERP systems, databases, etc. This allows obtaining information about prices or stock, trigger ordering processes or customer data change. 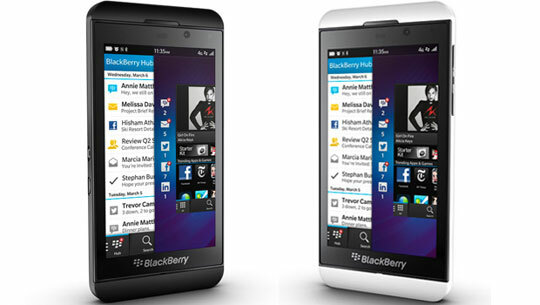 To sum it up, the Z10 comes in 2 colors which are black and white. Inside the elegance Z10 box, it has a stereo speaker, a power adapter, a leather case and a battery charger with a spare battery inside, cables connecting to PC and also earphones with mic. This is definitely one of the big improvising done by Blackberry and may be a big leap for them from now onwards. What is the impact of Blackberry Social Networking on Society? Blackberry social networking has got its own impact on the society. There was a perceived view about Blackberry that it is used only by higher class including Corporate Managers and Executives of famous companies but it is not true in this century. Today, every person of society is using different smart phones of Blackberry. Blackberry users can not imagine their lives without it and want to use Blackberry smart phones as long as the device works properly. Excellent screen resolution, huge storage capacity and nice camera is making a desire hearts of every customer to buy new version of Blackberry Z10. Blackberry Z10 becomes the heartbeat of youth population throughout the world. You have to know good as well as bad impact of different inventions. When you see the positive side of Blackberry smart phones, you will see that Blackberry Z10 provides ease of managing the messages, browsers, WiFi and long battery timing. On the other hand, it is also causing different problems for its users which include bad effects on health and personal life of Blackberry users, sleeplessness and citing addiction. You have to understand the importance of using everything in limited time otherwise excess of everything is bad for you. Hope that this article has provided you necessary information and now you can buy new Blackberry Z10 from the market. Just buy new Blackberry z10 and enjoy the latest technology provided by this leading brand. Cheers!